In the primary we have the bridge rectifier, which converts the AC in pulsed DC. 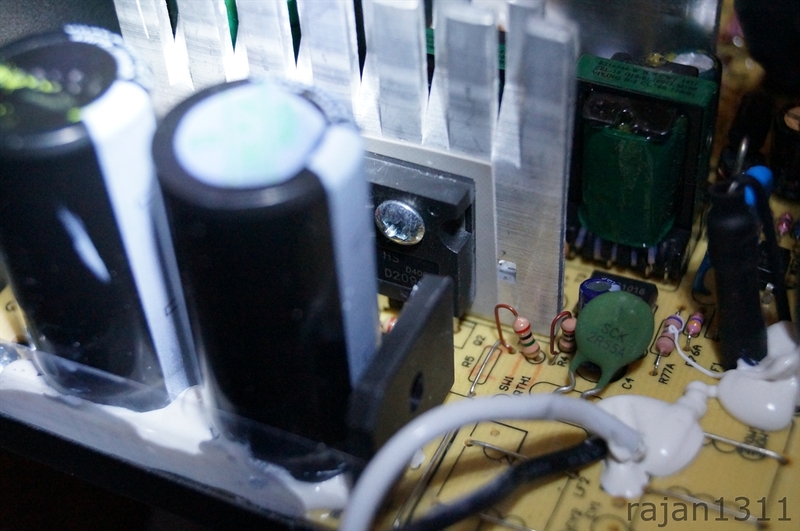 I could not read the markings on the bridge rectifier, but it is generally not a bottleneck in PSUs. This one is not connected to any heatsink, which is also normal for a PSU of its rating. 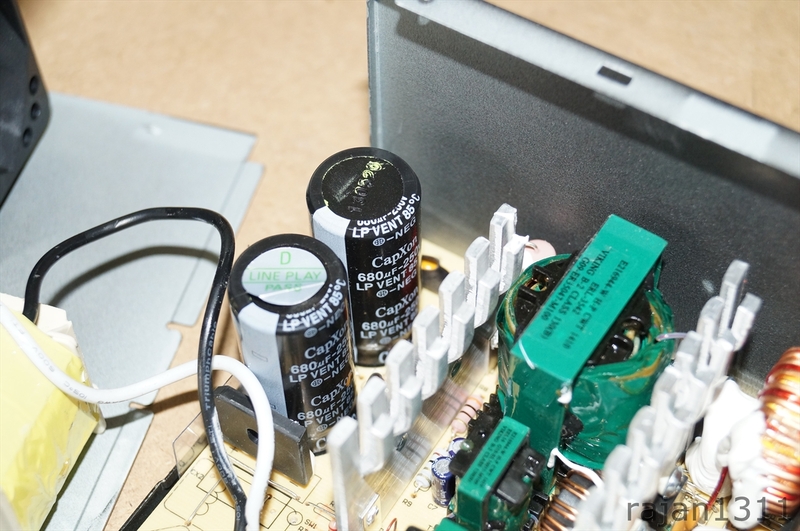 The primary capacitors smooth out the pulsed DC. These capacitors are made by CapXon, which has somewhat of a bad reputation. The capacitors are at 680uF at 25c. These should do the job, but with so much branding done by Antec on the capacitors, I was expecting something better. Next, the smooth DC is again chopped to a much higher frequency. This is done so that the transformer size can be significantly reduced. This is done by high frequency switching transistors. In our case we had 2 D209L power transistors that do the switching. Asus GTX 960 available in India! Tech Verdict Copyright © 2019.